This German mace proves that weapons can be art. Although pleasing to the eye, it is deadly in function. By the 1500s, armor had become very good protection from most weapons, but that was not the case with an eight bladed mace like this one. 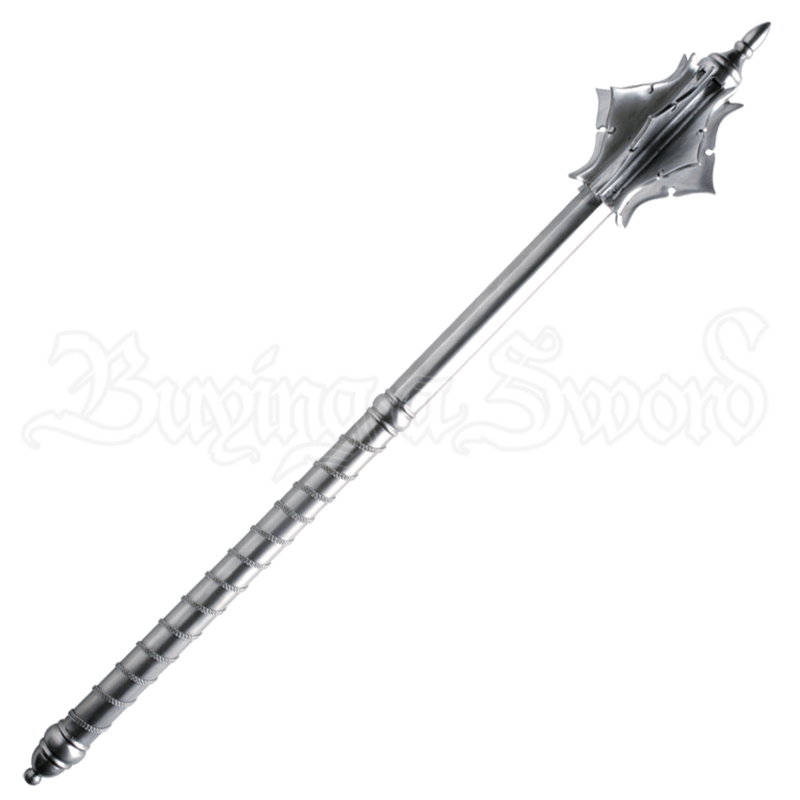 This expertly reproduced steel mace has a brushed finish. Our German Mace is great for collectors and re-enactors. Made by Windlass Steelcrafts.